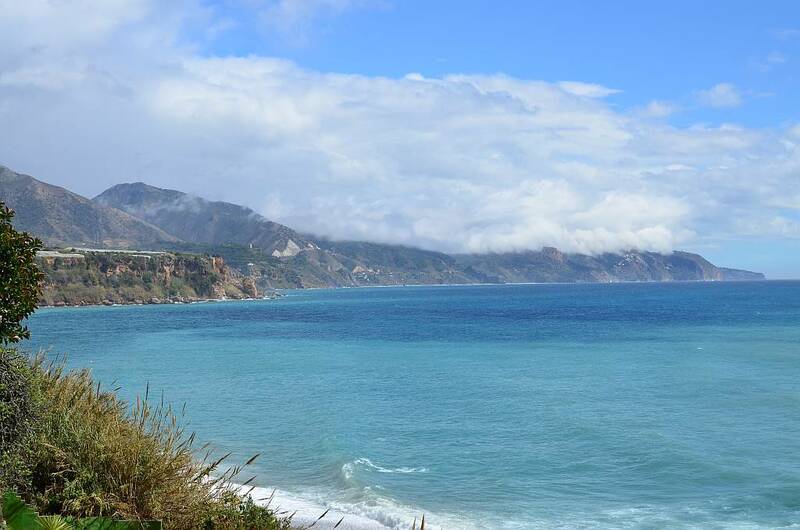 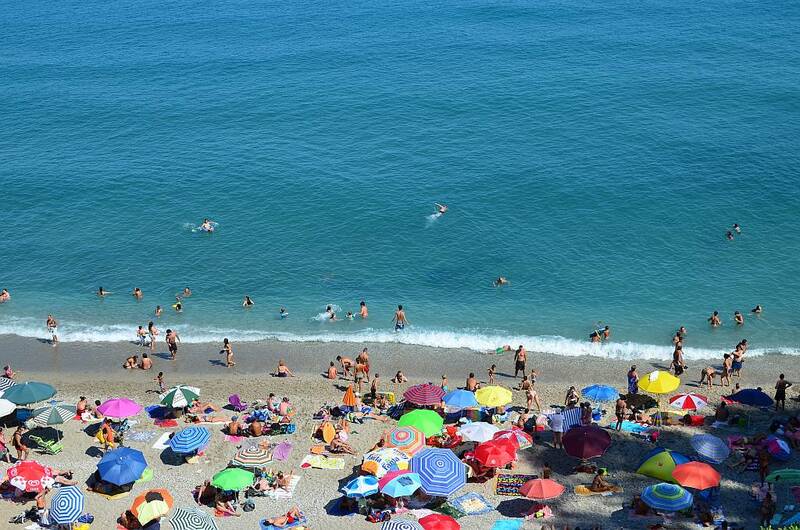 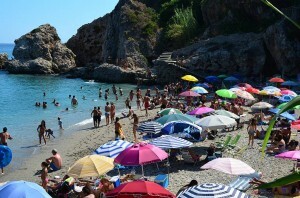 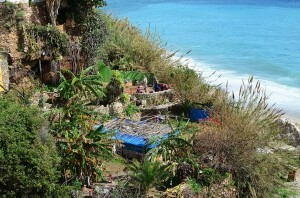 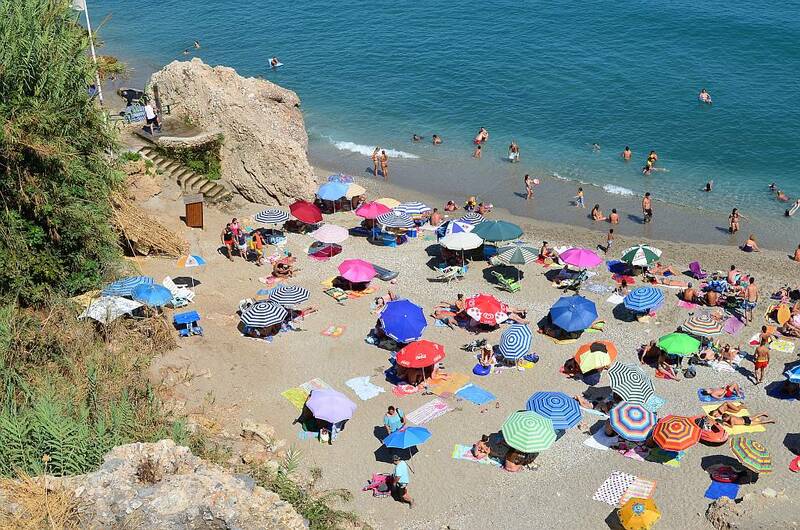 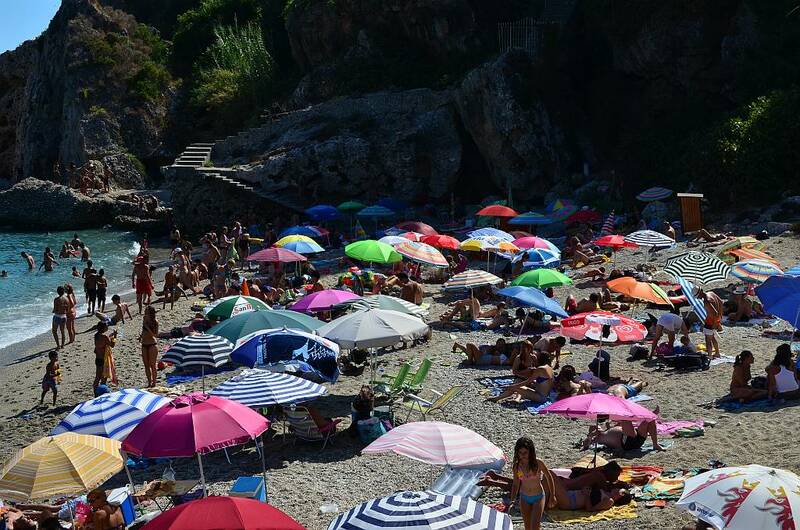 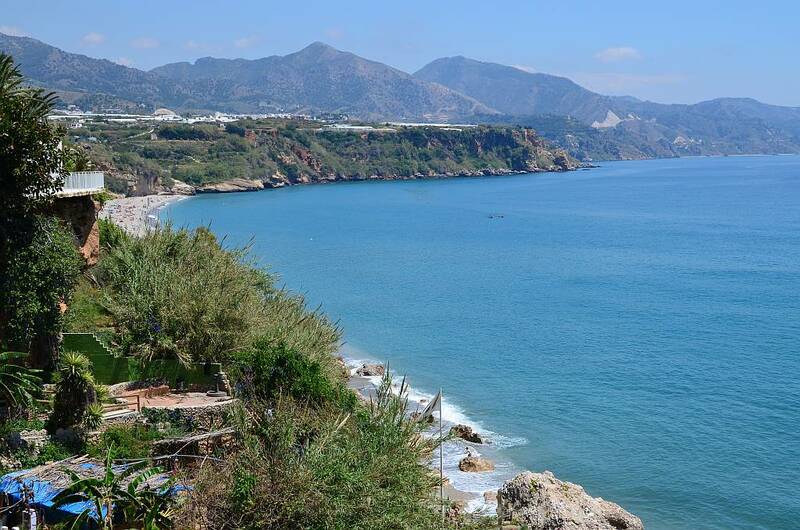 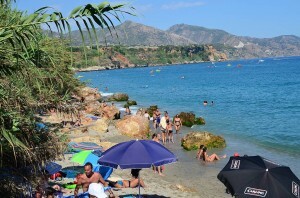 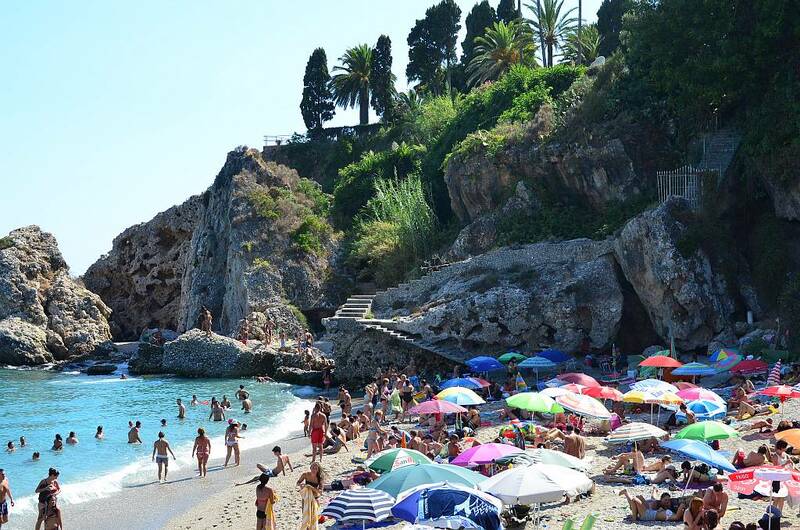 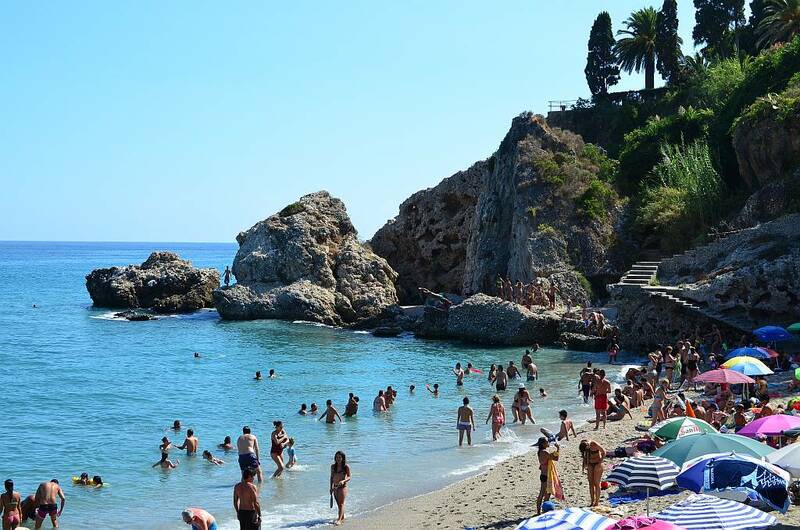 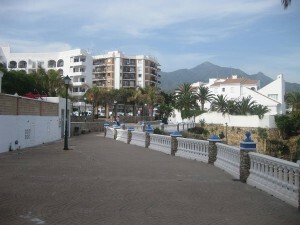 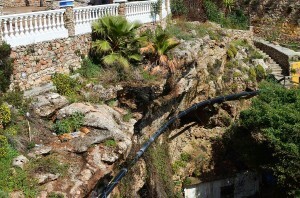 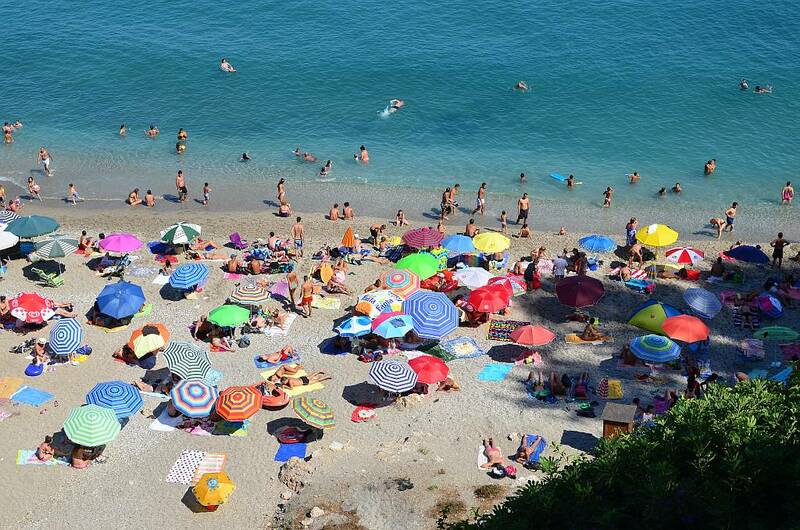 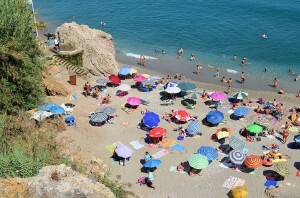 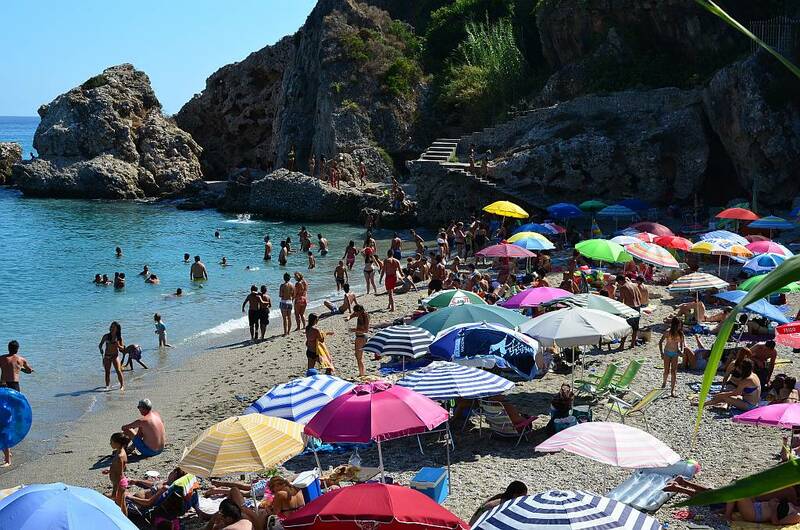 Carabeillo beach is sandwiched between Carabeo and Burriana beaches at the eastern end of Nerja. 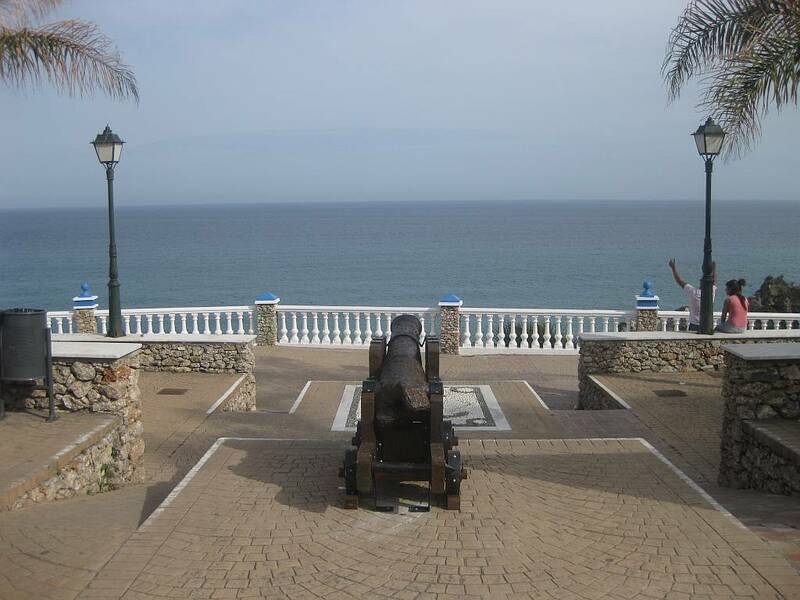 Overlooking Carabeillo beach is the Mirador del Bendito - viewpoint - which affords great views out over the Mediterranean, down to Carabeillo beach and along to Burriana beach. 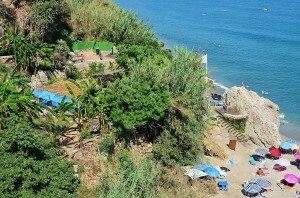 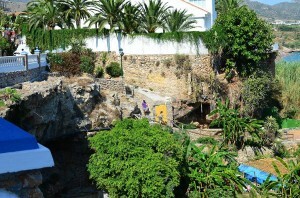 Vine-covered pergolas provide shelter and it is a great place to relax after the strenuous activities on the beach.